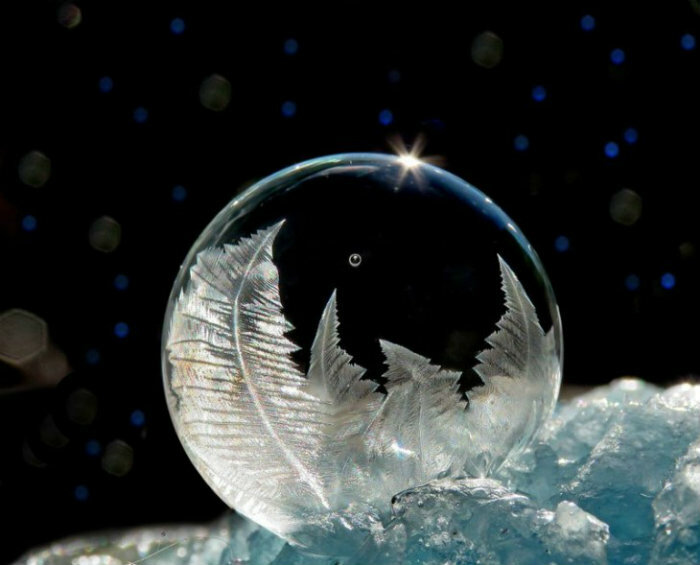 Frozen Soap Bubbles by Johnson. Who knew that blowing bubbles in sub-zero temperatures could create such beautiful crystalline patterns? Apparently photographer Cheryl Johnson did. She went out on cold days to capture the many possible ways each bubble would form its incredible display. 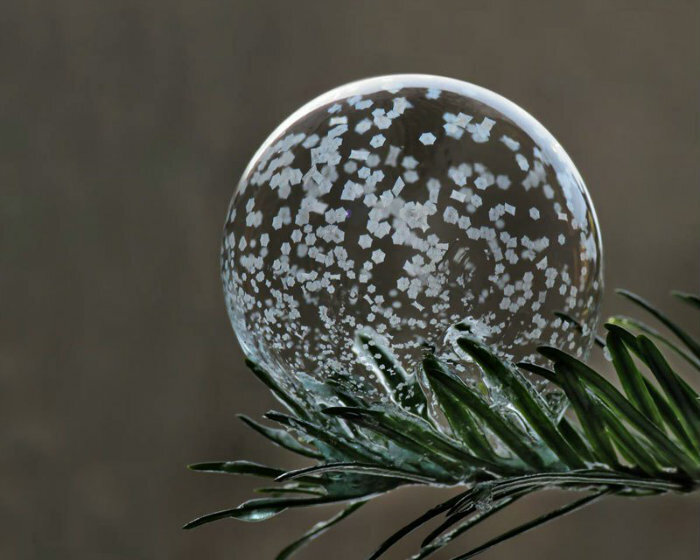 Created by the water in between the soapy film layers, the freezing begins at the bottom and expands upwards until the bubble in entirely covered. When Cheryl isn’t photographing bubbles outside, she spends time doing watercolor paintings. You can find her art on her personal site, or to see all the different frozen bubble she’s captured, see her Facebook posts. 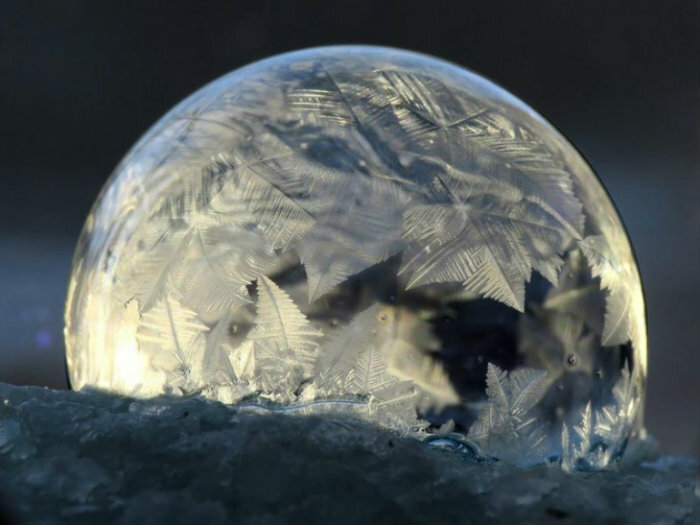 via Crystalline Patterns in Frozen Soap Bubbles. ← Sunset at Xingping, China.